Find out everything you need to know about Glyndebourne Tour 2018. Glyndebourne Tour is our autumn season of world-class opera, and in 2018 we are celebrating 50 years on the road. What’s on at Tour 2018? A new production of Massenet’s Cendrillon will be one of the highlights of Tour 2018. 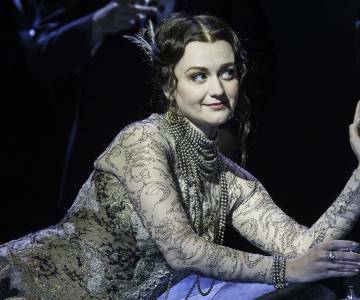 In this celebratory year, the Tour will include a new production of Massenet’s Cendrillon alongside a revival of Tom Cairns’s 2014 production of Verdi’s La traviata and a special Behind the Curtain of that production presented by Chris Addison. Behind the Curtain is a unique theatrical event, providing audiences with a behind-the-scenes exploration of how an opera is staged. We will also be hosting The Glyndebourne Christmas Concert with the Glyndebourne Chorus and Glyndebourne Tour Orchestra, conducted by Nicholas Jenkins performing some operatic and seasonal favourites, on 8 and 9 December. In addition, to mark 50 years of the Tour we will be celebrating with a gala concert of opera highlights at Queen Elizabeth Hall in London’s Southbank Centre on Tuesday 4 December, with performances from singers including Sarah Connolly, John Tomlinson and Thomas Allen. We’ll also be screening our much loved production of Der Rosenkavalier in selected cinemas. What makes the Tour so special? 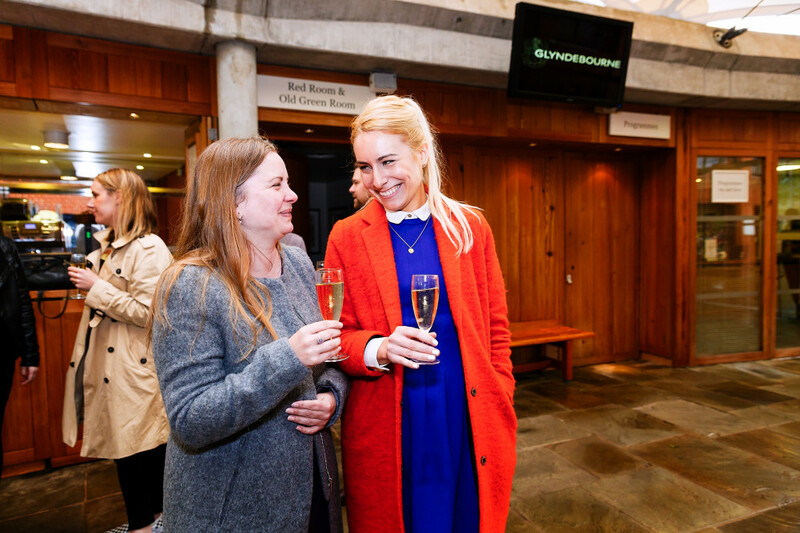 Founded in 1968, the Glyndebourne Tour has the dual purpose of providing a showcase for emerging artists and giving broader audiences a chance to experience live opera. The Tour not only enables us to reach new audiences across the UK, but our ever-popular Performances for Schools also present opportunities for students to experience the joys of opera for the first time, 30,000 since 2006. The Tour also provides a platform for young and emerging singers and conductors and the chance to see top opera artists before they become household names. Among the internationally acclaimed conductors and singers whose Tour appearances helped establish their careers are Robin Ticciati, Gerald Finley, Emma Bell, Alfie Boe, Roberto Alagna and Kate Royal. Tour Members get first access to tickets for Glyndebourne performances. The Tour Members’ ticket ballot opens on Monday 23 April 2018. Find out more about becoming a Tour Member. Public booking for Tour 2018 performances at Glyndebourne opens on Monday 4 June 2018. The nearest railway station is Lewes and all Glyndebourne performances finish in time for audiences to return to London by train. 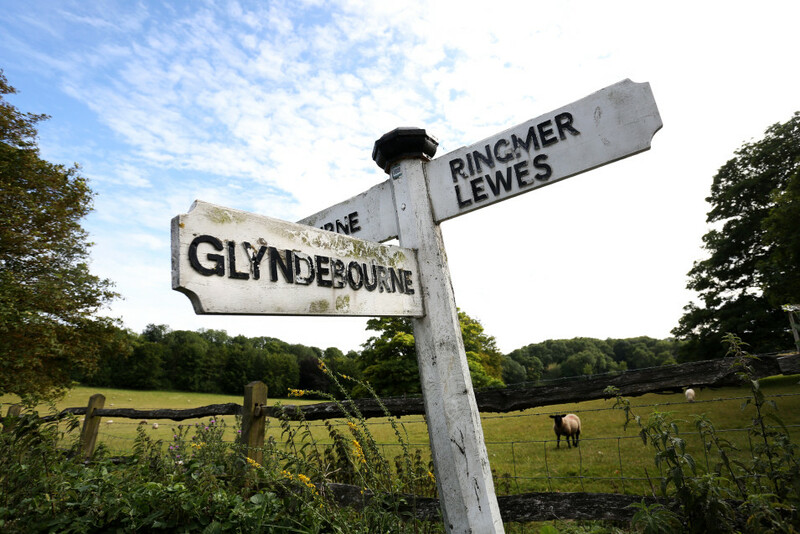 We run a coach service between Lewes train station and Glyndebourne. The coach from Lewes Station leaves one hour before the start of scheduled Tour performances. There is also ample free on-site parking available. More info. In keeping with the more informal feel of the Tour, the dress code is smart casual. While some audience members do choose to make their visit to Tour performances a special occasion and dress accordingly, others may be arriving straight from work. Please wear whatever you find comfortable. Since October is not ideal for picnics, Leith’s at Glyndebourne offer a range of interval drinks and pre-performance dining options. Before the performance: there are several dining options in our on-site restaurants open two and a half hours before the performance. During the interval: The Long Bar will be serving Champagne, wine, non-alcoholic drinks, tea, coffee and mulled wine for chilly days. You can avoid queuing for your interval drinks by ordering in advance online. Unlike the Festival there are no restaurant services during the interval. If the weather is kind, you are welcome to enjoy the gardens before you take your seat in the auditorium. The gardens will be open for two and a half hours before the performance starts. The Glyndebourne Shop also open two and half hours before performances and will remain open until after the curtain comes down. All profits from the Glyndebourne Shop are fed directly back to Glyndebourne to support its opera productions and education programmes. We will also be exhibiting the ten shortlisted artworks from this year’s Tour Art Competition in the Stalls Gallery. The winner’s artwork is featured on the cover of the Tour Programme Book. This year’s theme is ‘love and money’, find out more about the Tour Art Competition.